Citroën’s popular MPV models, C4 Picasso and Grand C4 Picasso, have jointly won the ‘Best Medium MPV’ award in DieselCar & EcoCar Magazine’s ‘Top 50’ for 2018. DieselCar & EcoCar Magazine’s Top 50 showcases the best cars currently on sale in the UK and is judged by a team of journalists who have tested more than 175 cars over the past year. The awards have proven to be a lucky omen for the Picasso, with the vehicle picking up the ‘Best Medium MPV’ award for the third successive year. 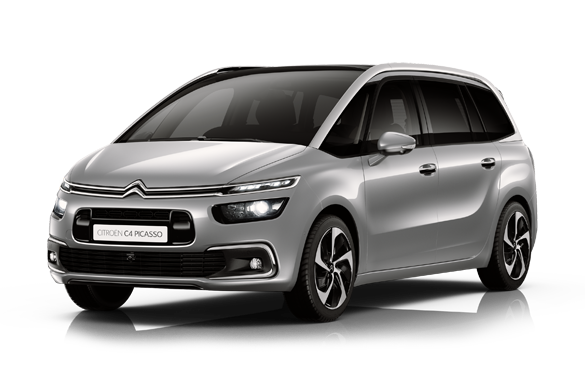 The C4 Picasso and Grand C4 Picasso were praised for their practicality, modern styling and technology following a robust and comprehensive road test scoring system. The French manufacturer also saw their C4 Cactus perform well, securing 28th place overall in the list. Want a C4 Picasso? You can drive one away from Motordepot for just £146 per month.